Author note: This recipe is also tasty unfrozen, served on ice as sweet tea. Also note, be sure to set a timer to remind yourself to scrape the granita. It can turn rock hard very quickly. Place all ingredients into a long glass pyrex and stir to combine. Continue this process until the tea is slushy. Place in individual glasses, top with mint pieces and serve. 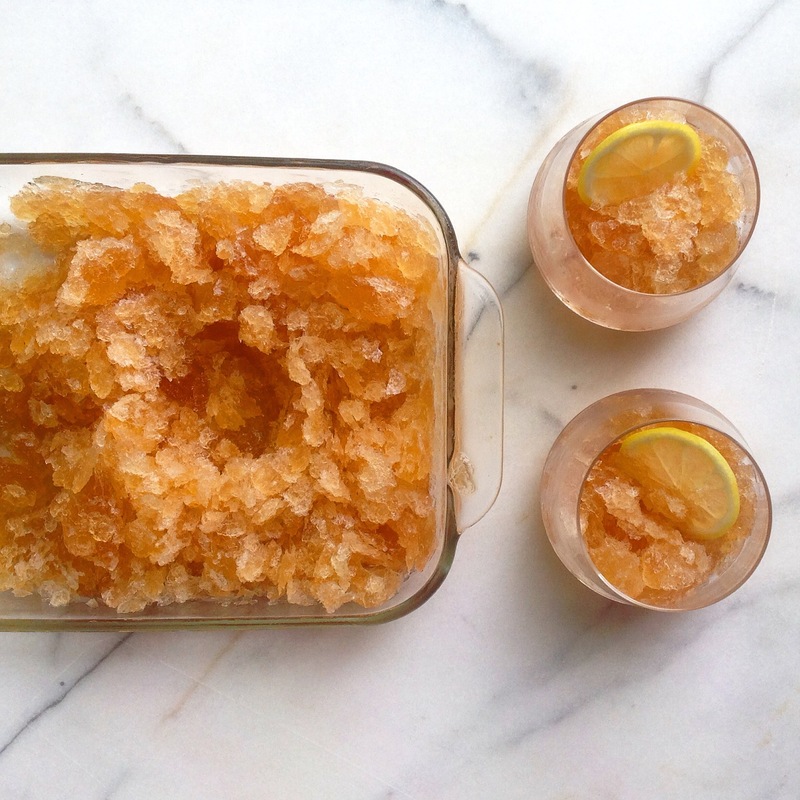 This entry was tagged a pleasant little kitchen granita recipe, dallas food blog, dallas food blogger, ice tea slush, lemon ginger tea granita, sweet tea, sweet tea granita recipe, sweet tea slush recipe, tea granita recipe, texas food blog, texas food blogger. Bookmark the permalink.